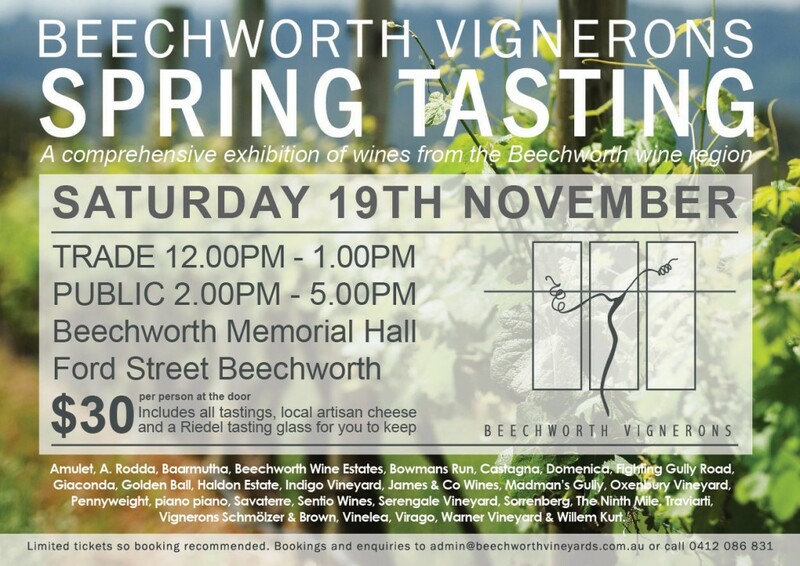 Put Saturday 19th November in your diary to taste the wines of Beechworth with the winemakers at the ready to answer your questions. Includes all tastings, local artisan cheeseand a Riedel tasting glass for you to keep. 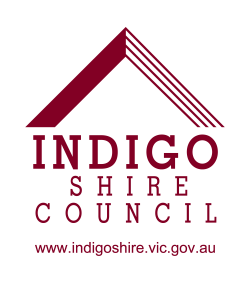 Producers: Amulet, A. Rodda, Baarmutha, Beechworth Wine Estates, Bowmans Run, Castagna, Domenica, Fighting Gully Road, Giaconda, Golden Ball, Haldon Estate, Indigo Vineyard, James & Co Wines, Madman’s Gully, Oxenbury Vineyard, Pennyweight, piano piano, Savaterre, Sentio Wines, Serengale Vineyard, Sorrenberg, The Ninth Mile, Traviarti, Vignerons Schmolzer & Brown, Vinelea, Virago, Warner Vineyard & Willem Kurt.